SCPD are investigating a two-vehicle crash in Brookhaven. Brookhaven, NY - November 29, 2018 - Suffolk County Police Fifth Squad detectives are investigating a two-vehicle crash that critically injured an elderly man in Brookhaven on Wednesday, November 28. 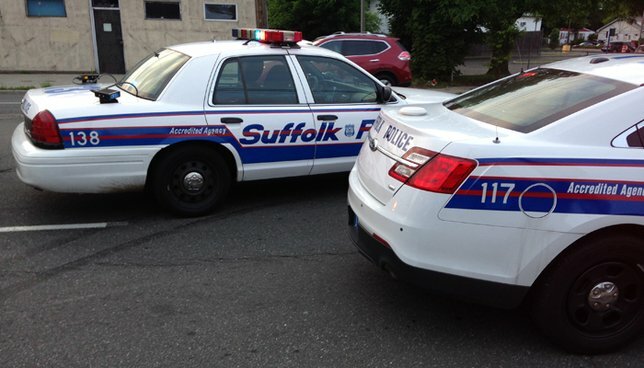 William Connolly was driving a 2012 Mazda westbound on Montauk Highway at approximately 2:20 p.m. when his vehicle was struck by a 2000 Grand Marquis driven by Marion Ardine, who was also traveling westbound. Connolly, 93, of Brookhaven Hamlet, and Ardine, 91, of East Patchogue were transported to Long Island Community Hospital in East Patchogue. Connolly is in critical condition, and Ardine suffered non-life-threatening injuries. Subject: LongIsland.com - Your Name sent you Article details of "91 Year-Old Driver Critically Injures 93 Year-Old Driver in Brookhaven Crash, Cops Say"